SO3 stands for Sulfur Trioxide. This is one of the most pollutant chemical compounds in the gaseous form. It is also a primary agent in the acid rain. The main use of this component is to make sulfuric acid for industrial purposes. SO3 which is also spelled as Sulphur Trioxide sometimes, is a trigonal planar molecule that is non-flammable. 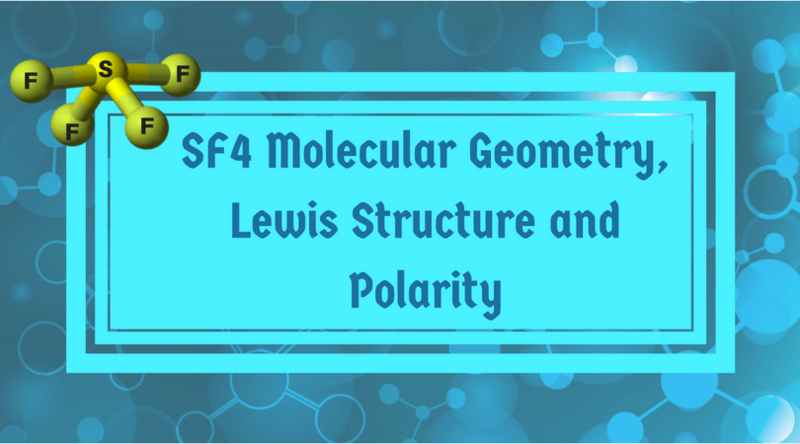 In this article, I will provide you some information regarding SO3 molecular geometry with the explanations of Lewis structure, polarity, and hybridization. 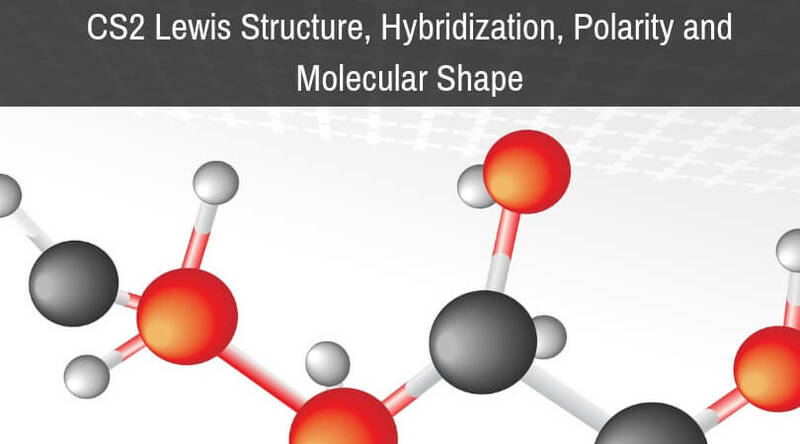 Being an intelligent and well-practiced human being, you must know what is molecular geometry, but let me revise it for the all young students out there. 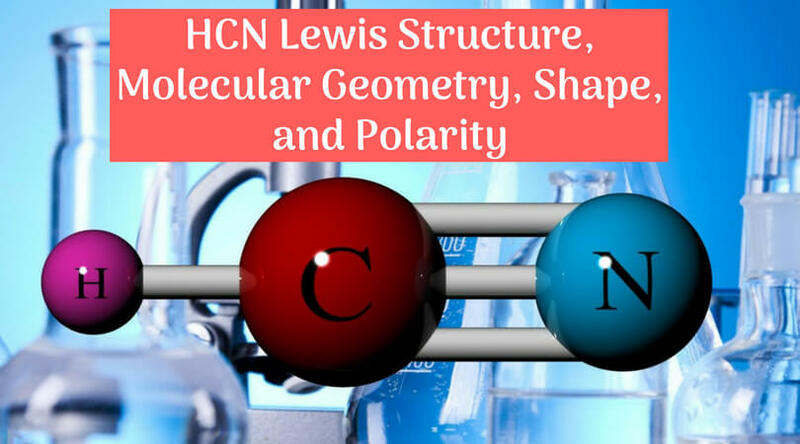 Molecular geometry is the three-dimensional structure of the atoms which helps in the constitution of a molecule. 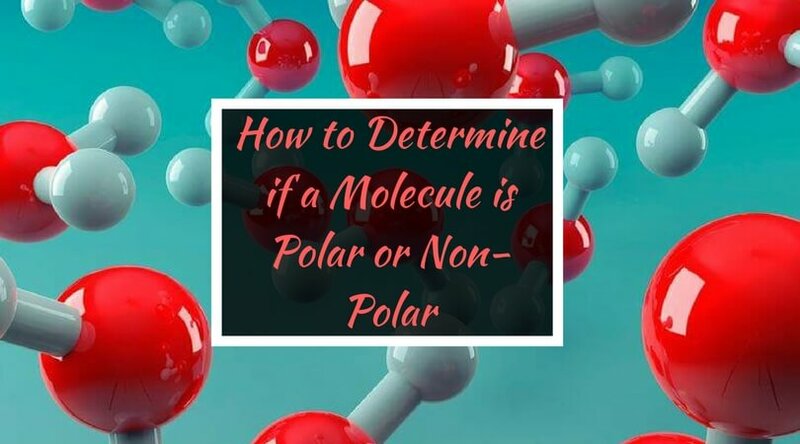 It can determine reactivity, polarity, color, attraction, biological activity, etc. 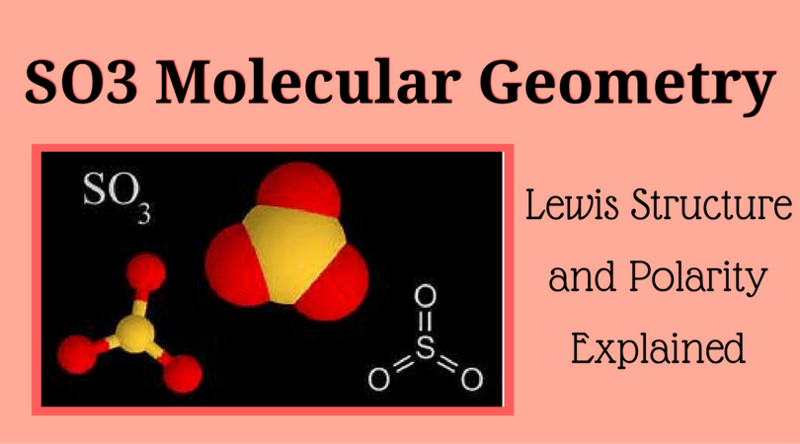 SO3 includes two components mainly – Sulfur and Oxygen. 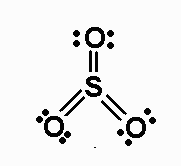 There are one sulfur atom and three oxygen atoms which are spread out as far away as they can! Atoms of oxygen are surrounded by electrons. These electrons are negative and repel each other. In this formula of SO3, we don’t have any non-bonding electron, and that is why we don’t bother about N. Moreover, as there are three oxygen, it will be X3. That means we have AX3 for the SO3 molecule. (By the way, that is the reason why SO3 is having the shape of Trigonal Planar.) 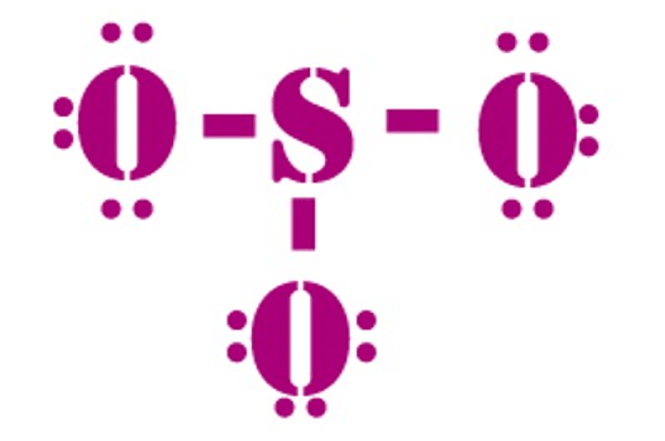 The bond angle of SO3 is 120 degrees. Valence: Here, sulfur in the center because of its lowest electron capability, and three oxygen around it. Sulfur brings 6, and oxygen brings 3 each. That means; SO3 has 24 valence electrons. 6 + (3 x 6) = 24. When we draw it, firstly we get the three structures at the top. Sulfur in the center and Oxygen around it is making a connection (each) to the central atom. There should be single bonds initially. There are 6 electrons in the structure which we have made, and there are 24 in total. So we need to put 18 electrons down. Now fill the outer atoms so that it satisfies the octet rule. Tip: When you put them, start counting from 7 to 24. Then take a decision regarding the formal charge. Formal charge helps you to figure out which atoms don’t need electrons. It’s the no. of electrons that the atom brought (For example, the oxygen brings 6) minus the no. of electrons which are alone that is the lone pairs around the atom minus half the number of electrons in bonds. If we talk about Sulfur, there will be 6 – 0 – 3 = +3. Here in this case, for oxygen, we have 6 (oxygen) – 6 (dots) – 1 (bonds) = –1. So, –1 from the other 2 oxygen because all are the same! The sulfur can handle 12 electrons per atom. Now, take out 2 dots from each of the oxygen and put one more bond connection to each. So, as you can see, now there are 10 electrons around it. Sulfur violate the octet rule. And the reason is that all formal charges become 0. So, if you recalculate the things, at last, it will be like 6 – 0 – 6 = 0. 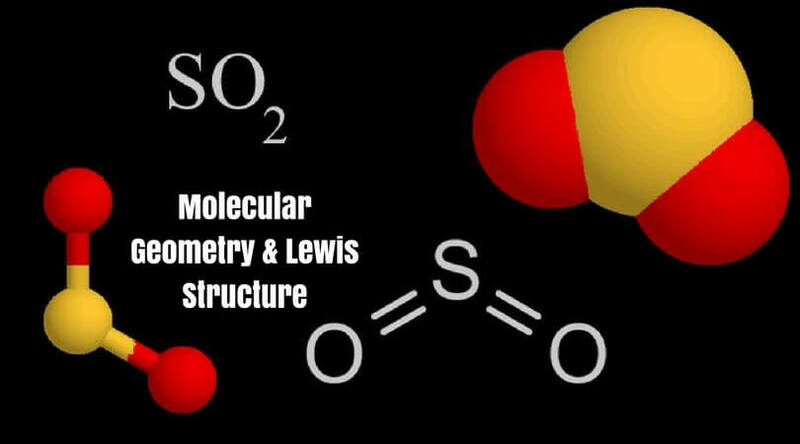 I hope you guys are clear regarding the Lewis structure of SO3. Now, let’s talk about polarity. In this formula, all atoms of oxygen are symmetrical. They all are having the same number of bonds and lone pair electrons. Now if we use a model called the VSEPR, (Valence Shell Electron-Pair Repulsion – a model which is based on the repulsive behavior of electron pairs) we will find out that as all oxygen are spread out, they repel each other, which expect SO3 as nonpolar. So from now onwards, when someone will ask you a question like – is SO3 polar? You should give answer confidently, NO it is not because they do not have any negative or positive signs. It is trigonal planar with symmetric charge distribution on the central atom. As you can see in the structure; between each atom, we have double bonds. One is a sigma bond (σ), and the other one is the pi bond (π). 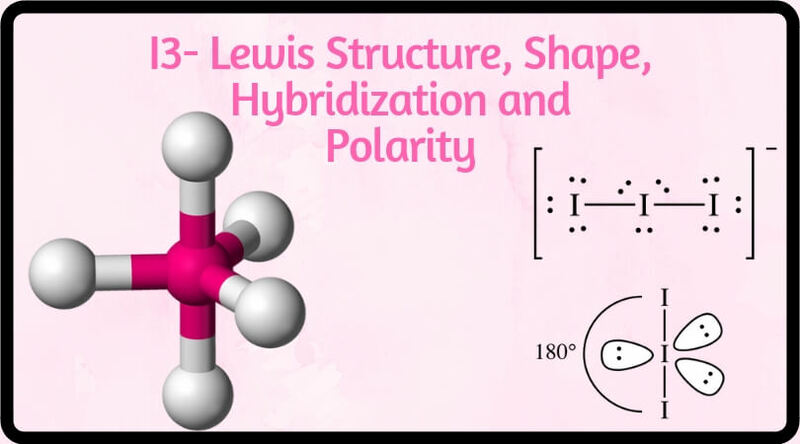 To find out SO3 Hybridization, we should find the steric number. 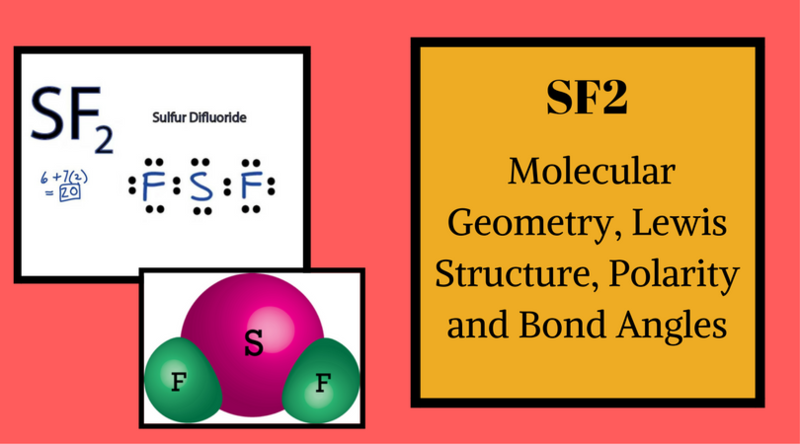 The formula of steric number is the addition of the number of atoms bonded and lone pairs of electrons. There are 3 sigma bonds which mean we have three regions. One sigma bond and two pairs of unbonded electrons. 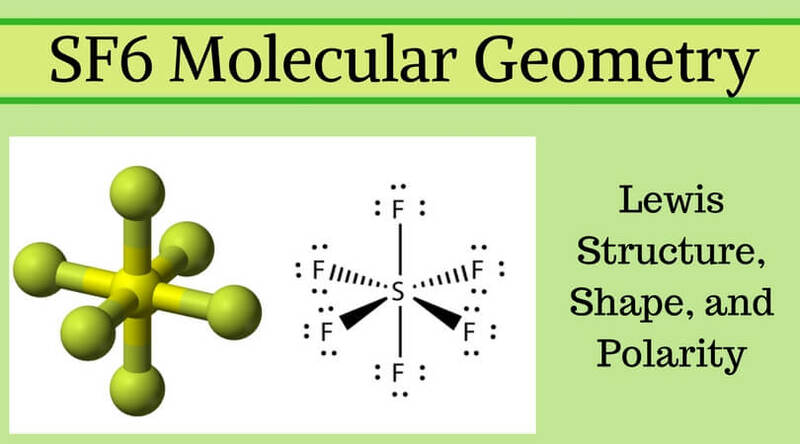 That means we have an S and two P orbitals to be hybridized. In this case, the steric number is 3, so the hybridization of SO3 is SP2. That’s it!!! This is the simplest explanation of SO3 electron geometry. 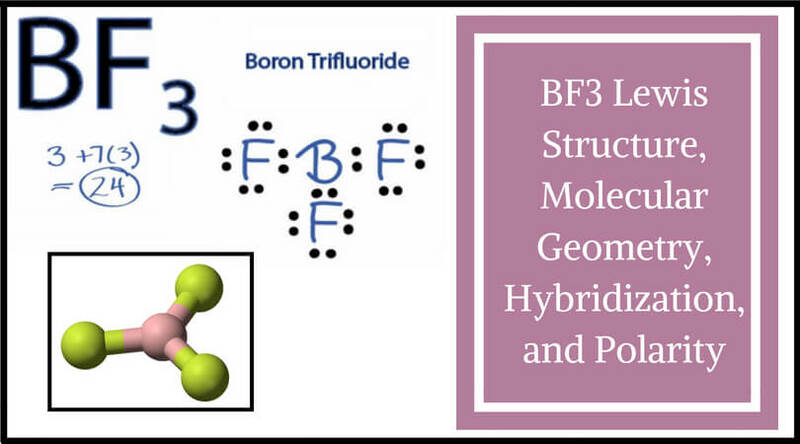 I hope this article will be helpful for you whenever you need any guidance or help to solve your confusions regarding the molecular geometry of SO3. At last, I just want to say – Never stop learning, because curiosity is the key to success. All the very best!